9x21mm pistol ammo was designed for a surprisingly specific purpose. Israel Military Industries produced the cartridge for markets that fall under restrictive caliber laws. For example Mexico has a law against using cartridges used by the military, which prevents calibers like the 9x19 Parabellum, and 45 ACP from being sold to civilians. Laws like this have historically allowed cartridges like the 38 Super and 380 ACP to flourish overseas. 9x21 ammo offers similar performance to the 9x19 Parabellum cartridge and allows for the use of high capacity magazines and relatively slim grips for enhanced ergonomics. The 9x21 can be loaded slightly hotter than the more common 9 x 19, but can also be loaded identically to the 9x19 Parabellum. 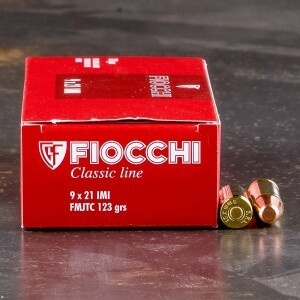 While the cartridge has never become popular in the United States, across the world, 9x21 ammo is extremely popular.